STRESSed > WELL Phase Status: Animal is displaying Anxious Behavior, which may or may not be caused by presence of Enviro Allergy. Pet Parents are suggested to begin the Animal on a WELL Amount of GOO CHILL for approximately 2-3 Days ( 50% AM & 50% PM ) to acclimate the Animal to to GOO CHILL’s Taste. 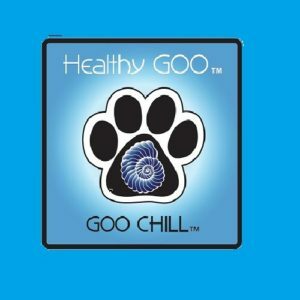 As well as to acclimate the Animal’s “System” to GOO CHILL’s Active Ingredients. 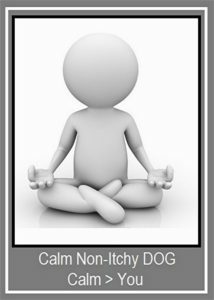 Once the Animal has Successfully moved thru this Acclimation Stage, the Pet Parent can move to the STRESSed Level of GOO CHILL’s Protocol. Because it is believed that the Active Ingredients in GOO CHILL have a Build Up / Cumulative Effect, it is necessary for the Animal to Build to / Establish a Foundation Level upon which further Progress can resume. The Pet Parent is advised to Monitor the Animal’s Behavior, watching for mitigation of TroubleSome Behavioral Characteristics. The Duration required to reach a Point where Behavior begins to be Mitigated will vary based on the unique characteristics of each Animal’s Past & Present Health Status. Once the Pet Parent feels that a Level of GOO CHILL has been Established and Beneficial Behavioral Characteristics become Increasingly Visible, the Pet Parent is advised to Stay the Course for approximately 2 Weeks at the Level used to reach this Beneficial Point. Then, based on Pet Parent observations, the Pet Parent can “Slightly” begin to Reduce the AM & PM Amounts to a WELL Level. A WELL Level of GOO CHILL can be Maintained as long as Troublesome Behavioral Issues remain At Bay. Pet Parents are Reminded to be on “GOO CHILL Alert” to the possible beginning signs of Troublesome Behavioral Re-Emergence, at which Time GOO CHILL Levels should be Increased to return the Animal to a Preferred Behavioral Level. GOO CHILL can be given as a Stand Alone GOO-Licious Treat. GOO CHILL can be Mixed into GOO Gut Rescue.